Younique’s first-ever lipstick line features full coverage product in cream and pearl textures for all of you lipstick addicts out there. 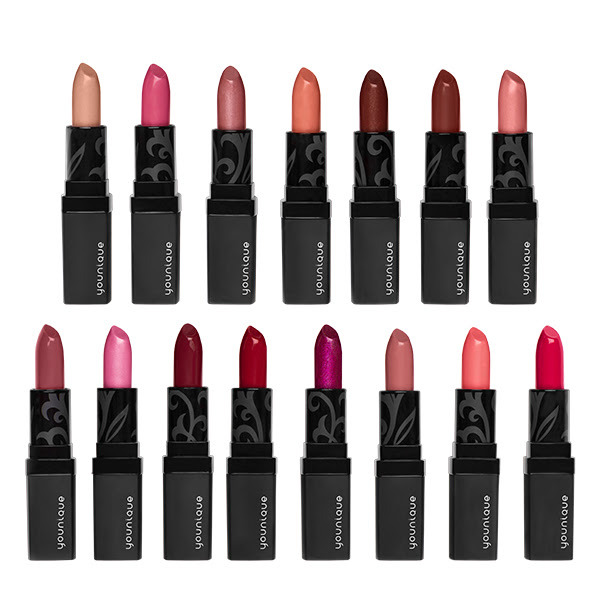 Long-wearing and effortless, Younique Lipstick glides on for an all-day wear, without feathering or bleeding. Go ahead, sip on your favorite beverage and try out the “stay put” look. Use with Precision lip liner and/or Lucrative lip gloss to create a Younique look. Younique Opulence Lipstick is available exclusively through Younique Presenters for $19 USD. Clicking the button below will take you to my official Younique Website where you can order securely. My Review Of Younique Lipstick : To be honest I have always been more of a liner and gloss or lip stain kind of girl, lipsticks are usually too messy, don’t stay on or just don’t feel right. When I heard about Younique’s lipstick and saw all of the pretty shades, I knew I would have to try it. I love this lipstick! It goes on really smooth and creamy, there is no weird taste or texture and I noticed it also lasted quite a while as well. The shade I got is upper class and I think it’s absolutely gorgeous. 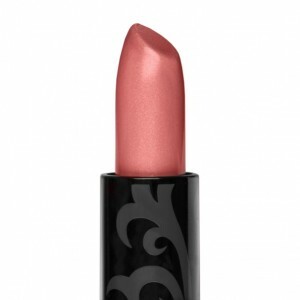 The best part is that this lipstick has no harmful ingredients so it is perfect for anyone to try.